Great Britain’s agricultural sector has been left in uncertain circumstances. With many industries reliant upon farming, how we move forward following Brexit must be executed carefully – or we could be looking at a house of cards. Brexit could be a make-or-break moment for the farming industry. With the government keen to abolish landowner payments, British farmers must learn how to be competitive in international markets without subsidies. Farmers will soon be free from the EU’s Common Agricultural Policy; a flawed system that mostly benefits wealthy landowners, large agribusiness and food-manufacturing companies, such as Nestlé and Cadbury. Post-Brexit, the UK will be able to build a more competitive and equal playing field for British farmers; however, there are still challenges the industry will have to overcome. Losing some of the EU market – which currently accounts for more than half of the produce farmers export – will be a big blow to British farmers. Impending free-trade agreements are also likely to bring an increase in cheap food imports; another issue British farmers must compete with. For some farmers, leaving the EU could have disastrous effects. Any tariffs that are imposed on importing produce to Europe from the UK will be a big deterrent and will have a knock-on effect on trading, which is worrying when the EU currently imports 40% of UK lamb. Brexit could also pose challenges to tenants who are farm leasing the land. Aside from the value of livestock, tenants have no other asset value to fall back on, which could prevent challenges if the current basic support was scrapped. Many farmers are diversifying their business and including other revenue streams, such as operating a boarding kennel or running a campsite. England, Wales, Scotland and Northern Ireland will each have their own regulations and license requirements; and each county within those countries will also have different procedures in registering and operating farmland. Entrepreneurs should get in contact with their local council to find out what licenses and permits apply to your circumstances and location. Different sectors within the farming industry will require their own, specific permits. For example, if you intend to keep livestock, you will have to register them; whereas if you are an arable farmer, you may have to apply for certain permits which regulate a range of environmental impacts through agricultural emissions. The position of your farm and the type of land you have will also determine the type of licenses and permits you require. For example, if you’re operating a large chicken farm that’s near a main river, there is a high chance you will need to apply for an environmental permit, which will be issued by the Environment Agency or your local council. Farm diversification is nothing new. Farmers have been looking at ways of adding value to their farm businesses since post World War Two. However, Brexit and the imminent loss of subsidy payments means we have seen heightened conversations around this topic in recent months. Traditionally, farm diversification has fundamentally been about utilising land and buildings as a way of adding additional income streams. But today, there are so many wider opportunities open for consideration, particularly with the digital era we are now embracing. This could be from looking at alternative business models, setting up an online business that are often scalable with limited resource, right through to adding ‘extras’ to an already diversified farm business. For example, if a farmer has already diversified into glamping, they may consider a way of adding an experience for those that are staying with them in order to give their glamping site a point of difference. This could be things like bush-craft days, yoga retreats or wine tasting. And what’s more, it doesn’t have to be the owner running these, there are people out there who will come and run these days or weekends for you. The move to diversify a farm business isn’t one that shouldn’t be taken lightly. However, many people can be put off starting something new as they haven’t had that eureka moment with the next best business idea. A new business doesn’t necessarily have to be anything new or innovative, but a clear understanding of what is driving this change is vital. Is it a want or need as this will help define the most suitable type of business and business model. If you’re looking for business ideas or inspiration or are looking to kick-start your farm diversification project take a look at The Business Barn – an online resource providing free rural business advice. Farmland values have been rising dramatically over the last decade, Knight Frank’s index of farmland claims that values have risen by 145% over the last 10 years. The rising price of acreage can make it harder for farms to scale-up their operations, and it can also be a stumbling block for new entrants wanting to break into the farming industry. 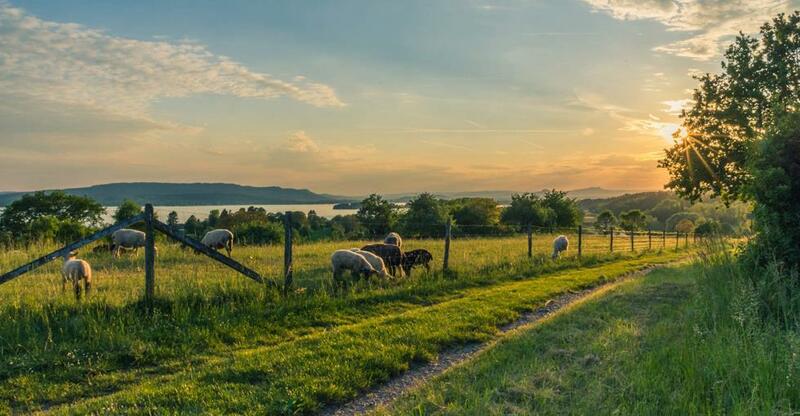 When you are buying a farm, you need to consider a lot of factors; do the current outbuildings and acreage suit the type of livestock and farm you are hoping to run? Does the land/farm business come with property and is this necessary for your business? Is the location good for the type of produce you will be selling? You should also consider what type of reputation the current farm business has. What is the owner’s reason for selling? How strict is the farm’s biosecurity? Is the farm well fenced and protected from wildlife that may pose a threat to your livestock? There are also other options for entrepreneurs who can’t afford to buy a 30-acre plot with a five-bedroom farmhouse. Leasing is the most common form of alternative land tenure; this essentially means existing landowners can lease all or part of their land to a leaseholder, who, can then start their farm operation without needing to raise the capital for purchasing the land. These types of tenures work best in arable farming. Overall, there are many different routes into the agricultural sector, but entrepreneurs should be prepared for long work days, physically demanding labour and very tight profit margins. However, if you have a clear business plan and realistic projections, running a farm business can also offer entrepreneurs a great lifestyle which also fits in well with family commitments. The farming industry in South Africa has had it's dips and peaks; so here is your guide to running a successful farm. Find out how to buy a farm- from financing to location. Showing your farm in the best light possible will mean attracting lots of buyers!